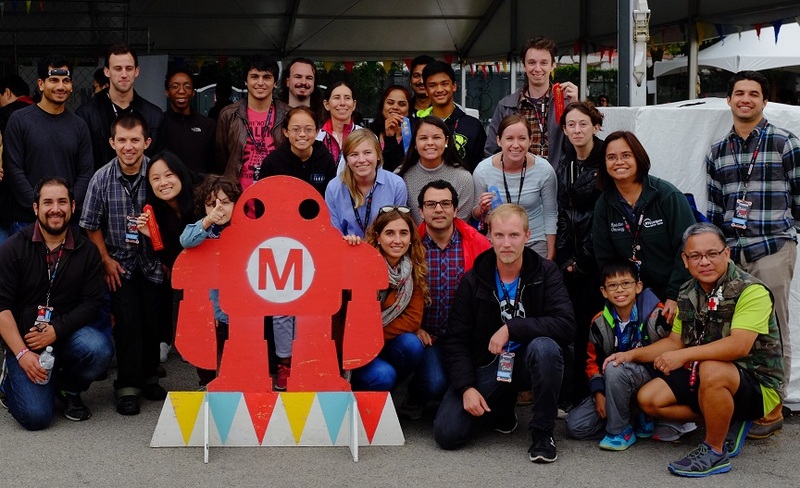 MakerHealth is changing the way the world thinks of makerspaces. Dedicated to amplifying the creativity of health makers, MakerHealth uses tools, a mindset, and an engaged community to build the health making capabilities of healthcare professionals and institutions. Everyone is encouraged to create healthcare technology to improve their medical care giving. MakerHealth has brought makerspaces to hospitals with their suite of products, including a MakerHealth Space equipment and tool package. 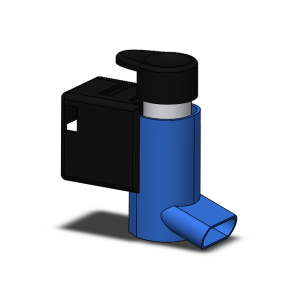 The turnkey prototyping space is filled with resources designed to support health device design, invention and building at the point of care. Healthcare professionals learn and experiment with new skills in health technology fabrication through MakerHealth’s online courses coupled with hands-on Maker Studio kits. Healthcare professionals can join the growing network of health makers across the globe and upload their projects how-to in the Maker-Health community. The network of hospitals with MakerHealth Spaces installed and operated by the company spans Massachusetts to Texas. MakerHealth also offers health technology prototyping workshops for clinicians and patients and has run these training programs in hospitals, nursing and medical schools across the US and in South America. Using the MakerHealth Spaces, tool kits, and training resources, clinicians are making health devices that reduce the cost and improve the quality of patient care inside of hospitals and homes. The delicate infants in the Neonatal Intensive Care Unit (NICU) are often connected to tubing that provides oxygen and delivers nutrients. To prevent skin breakdown, nurses protect the infant’s skin from the tubing with layers of hand-cut medical grade silicone and cloth tape. The NICU infants are tiny and it is a challenge to cut the pieces small enough to fit the infant’s face and consistent enough to align the layers. Courtney DelBosque in the UTMB Neonatal Intensive Care Unit wanted a better solution. She used the tools and materials in the Textile Module of the MakerHealth Space to prototype a sticker design for each of the materials. Starting with paper she brought proof of concept designs to the NICU for feedback and then moved to prototypes made with the medical grade material. Within two weeks they had settled on three shapes and sizes that would work for the different infant weights and sizes. The NICU Skin Stickers help the nursing team by reducing the time to get the infants ready with their tubing and the parents appreciate the care of using the smaller, intricate stickers that are protecting their infant’s skin. 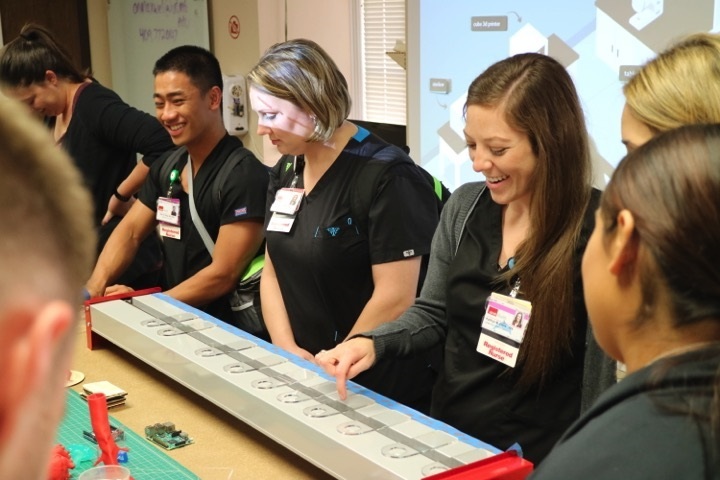 “I always aim for the simplest solution.” explained Rachel Murphy, RN, BSN of UTMB Surgical Intensive Care Unit (SICU), “Simple is always better.” Rachel had this in mind when stepping into the MakerHealth Space to solve a challenge from her unit. Patients on the SICU often arrive for acute surgical emergencies or severe underlying medical conditions that require them to have a connected catheter bag during their hospital stay. To prevent deadly infections, the bag must remain secure and elevated while patients are in bed and when they move to the hospital chair. On the SICU, there was no place for the bags to hang on the chair, which presented an infection risk for the patients. 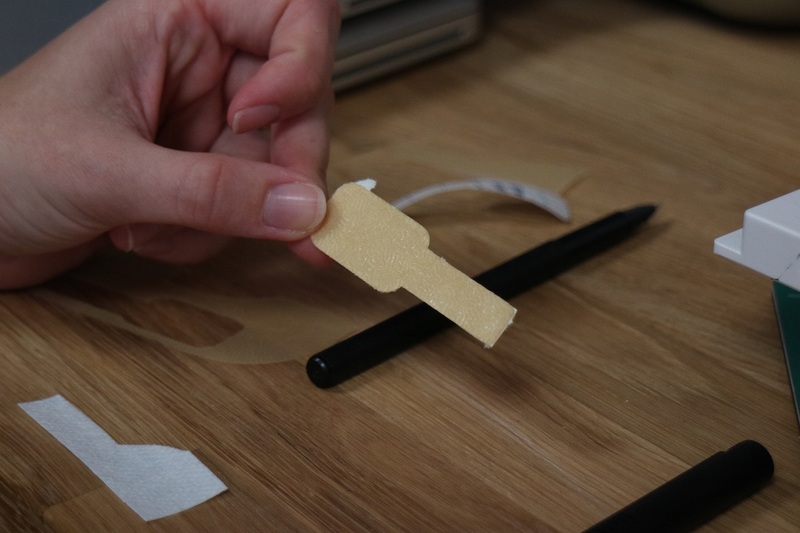 Using Digital Fabrication Module and plastic bender in the MakerHealth Space, Rachel was able to create a custom connector for the chairs that gives the clinical team a convenient, safe solution to secure patient’s catheter bag. The UTMB staff is using the equipment in the MakerHealth Space for small batch manufacturing of the connector to install on units throughout the hospital. For Ernesto Holguin, RN, BSN, CNN of El Paso, TX the path to a prototype wasn’t always straightforward. 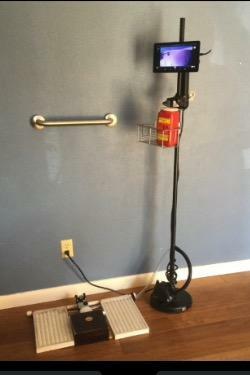 As a Dialysis Clinical Coordinator, he conceived an idea for a remote foot monitoring station that would improve the ability of clinicians to check on diabetic patients with foot ulcers. “Patients tend to wait 30 days before seeing a clinician on a follow-up examination after being treated for a foot ulcer. Monitoring post hospital discharge day 1 until day 30 is crucial in the healing process from home.” says Holguin. Even so, he ran into obstacles when searching for resources and support to make his idea a reality. Following a local MakerNurse workshop, Ernesto used the MakerHealth Telehealth Kit he was introduced to at the workshop, to build a working prototype. Using the kit and online learning track, Ernesto has iterated on his patent-pending solution and will soon be testing with clinicians and patients in his local health system. From inhalers and glucometers in homes to vital signs monitors in the hospital, everyone should be able to create smart devices to collect and manage data from the use of their medical device. 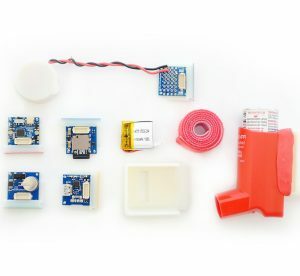 MakerHealth has worked with technology partners to create the modular health kits to teach the microcontrollers, sensors and 3D printed cases needed to make these DIY smart health devices real. MakerHealth is preparing to scale their makerspace package in hospitals globally. They are also excited about being close to reaching their 1,000th prototype. MakerHealth operates out of the MassChallenge in Boston’s Seaport District. Thank you to Anna Young, Nikolas Albarran and MakerHealth for being SOLIDWORKS Entrepreneurs and sharing with our community.